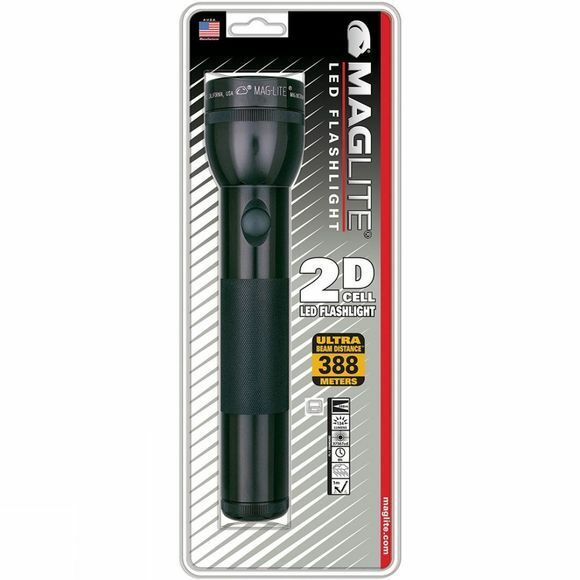 Maglite torches are renowned for their quality, durability, and reliability. The LED 2-Cell D Torch features their state-of-the-art Mag-LED light engine. With a beam output of 168 lumens over a range of over 400 metres, it is suitable for industrial or consumer use. Twist the bezel to turn on the beam, turn off the beam, or adjust its focus between spot and flood.